Three dwarves discover a sleeping princess and return to their queen. She sets out to save the princess on the eve of her wedding. This is a clever mashup of Sleeping Beauty and another fairytale I won’t mention (spoilers, you see…), with excellent illustrations from Chris Riddell. I enjoyed the twists and the connections, and the story definitely left me thinking. My knee-jerk rating was four stars, but being a Neil Gaiman book, I’ll be musing over this story awhile, and that rates five stars. What I do know is this: don’t go into any Gaiman book with expectations (I didn’t in this case, but he still surprised me) because whatever they are, he WILL defy them. A very, very good book. I finally picked this up, and what a delight. 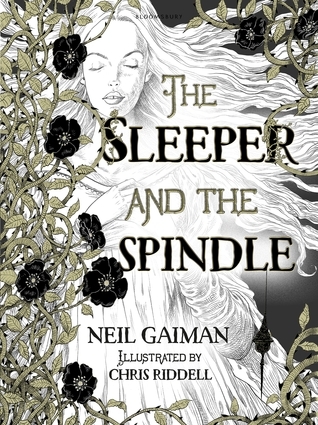 Inventive and creative, Gaiman blends English folklore and nursery rhymes with an entirely original story that is delightfully related in this fantastical tale of heroism driven by love. Living on the edge of a magic land has its advantages and disadvantages, and that’s what the inhabitants of the village of Wall experience. When Tristran Thorn sees a falling star, he vows to retrieve that exact star for the woman he loves in order to win her hand. However, when he has to go through the wall to locate it, he begins to learn that life isn’t all he thought it was. To complicate matters, he isn’t the only one out to catch a falling star. 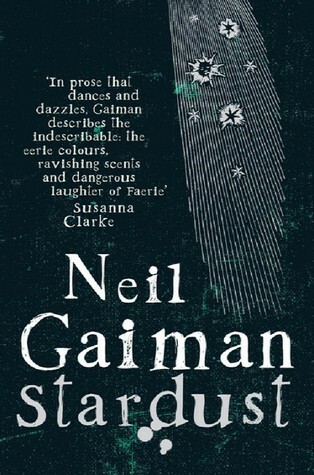 I particularly loved that, while I thought I had it all worked out, I found I hadn’t, which is what makes Gaiman the outstanding storyteller he is. What really attracted me to this book is the tag-line to the series – “The reason we believe in fairy tales – and monsters”. 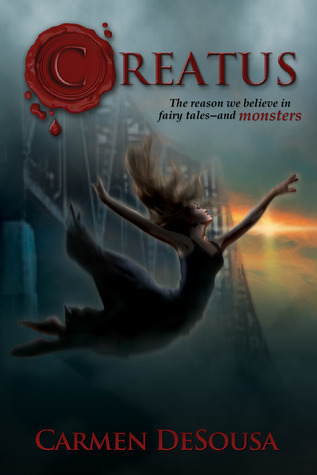 At first glance, the Creatus may appear to be vampires, but as it turns out, that’s far from the case. My memory is hazy – comes of writing a review long after I’ve read the book – but if I recall, the Creatus crash-landed on Earth four thousand years ago (okay, so I got that from the blurb) and have worked to integrate into human society – as well as hide from it – over the millenia. 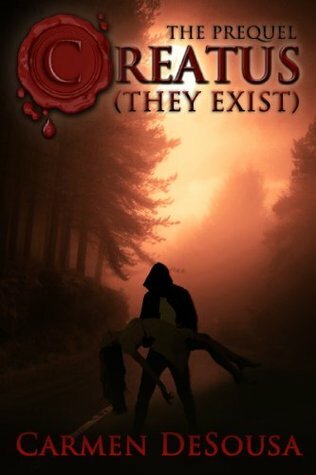 From They Exist we learned that Derrick has been watching over Kris since she was a little girl – since he saved her from certain death the night her mother was killed. Over the years since, she has lived in numerous foster homes, and is somewhat reckless given that she knows she has a “saviour” “out there”, and wants to meet him – she has learned that he only turns up when her life is threatened. So, not surprisingly, this book starts with her throwing herself off a bridge in a bid to bring him out into the open. Unknown to her, her action attracts the attention of a rogue Creatus, who discovers Derrick’s attachment to Kris. This book is a fantastic read, and thankfully isn’t your run-of-the-mill vampire tale. In fact, forget vampires. The Creatus are something completely different. DeSousa’s writing is excellent, drawing one in to the tale with ease, and then one is trapped, following events as they unfold. At times, especially in the first chapters of this book, Derrick can appear to be very controlling, trying to restrict Kris’s movements. However, one discovers that this is more out of a desire to protect her from a danger he cannot tell her about (for reasons that eventually become clear) than a desire to clip her wings, so to speak. An excellent romantic suspense that leaves one wanting to read more. As with most of his family, Derrick Ashton knows his future and what position he’s destined to fill within his unique society. Everything changes, however, when he breaks one of his family’s strictest laws and falls in love-with a human. In his quest to protect the woman he can never have, a twist of faith propels him into a new role that will cause dissension among his family and endanger the anonymity that they’ve strived for thousands of years to protect. Now, he will risk everything to save the girl from humans and his own kind. The one thing he can’t save her from, however…is herself. This novella tells the story of how Derrick comes to be Kris’s Dark Angel, the person always there who looks out for her. I read this book before reading any of the other books in the Creatus series, and it has piqued my interest. Very intriguing, filled with hints of more to come, and quite a few surprises. I definitely need to get on with reading the rest of the series now. In the rural villages of Norway, there is an ancient belief that children inherit the qualities of the direction in which they are born. Nyamh Rose, the last daughter of eight siblings born to a poor mapmaker and his superstitious wife, was a North-born baby. It is said that North-born babies are wild, unpredictable, intelligent, and destined to break their mothers’ hearts because they all leave hearth and home to travel to the far ends of the earth. To keep her close, Rose’s mother lied and told her she had been born of the obedient and pliable East. But destiny cannot be denied. One day, a great white bear comes to the mapmaker’s door to claim Rose’s birthright. What an absolutely beautiful story! I see it’s generally classified as a YA read, and I guess that’s because Rose, the main character, is YA. But really, I’m not sure most teens would have the stamina for this one. It’s a long book, no doubt about it. But a very rewarding, vividly written tale that is educational as much as it is spell-binding. Rose’s mother is very superstitious. With her father and grandfather having been mapmakers, she knows all about the points of the compass. And one of the things she’s adamant about is that the direction a baby is born in determines their character/personality/destiny. And she vows never to have a child born North, because northern babies are wanderers. Then, one stormy day, Rose is born. 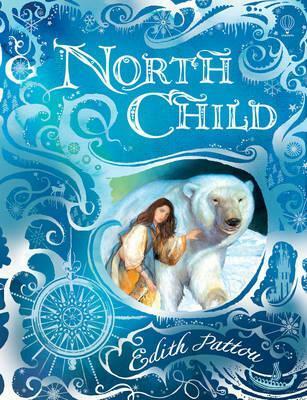 Rose is born North, but her mother refuses to admit it, so says that she was born East – since she was to replace an East-born child who died. It is clear from early on, though, that Rose is indeed a North child, as she has a wanderlust that nothing can curb, but her mother does her utmost to train Rose to be a good East. Quiet, at home, doing crafts. Actually, Rose does excel at one craft – loom weaving – and initially makes herself a cloak with her compass rose on it – the compass rose her map-making father designed for her at birth. One of Rose’s deepest desires is to ride on the back of a snow bear. And then one terrible day Rose discovers the lie her parents have perpetuated – the lie of her birth – and the snow bear comes to claim her. Her anger at her parents drives her to leave with the snow bear, and they travel away together to a castle the bear lives in. This story comes complete with trolls, talking snow bears, a storm at sea and a place that is East of the sun and West of the moon. Based on “East of the Sun and West of the Moon”, Pattou takes the original folklore and embellishes it beautifully. With what appears to be excellent research and investigation into the locales and cultures involved, and with a vivid writing style that conveys all the detail without weighing the story down, this story is truly wonderful. I kept getting flashbacks to my childhood days reading The Snow Queen. Now I know that’s a completely different story, but that sense of adventure, of travelling from place to place in pursuit of a loved one… and ending up in the far north… that’s what I was picking up on. I know I’ve actually read “East of the Sun and West of the Moon” in its original form, but have very little recollection of it. I’d say this is a must read if you’re into folk tales, fairy tales, Norwegian folklore and talking snow bears! Fabulous stuff!